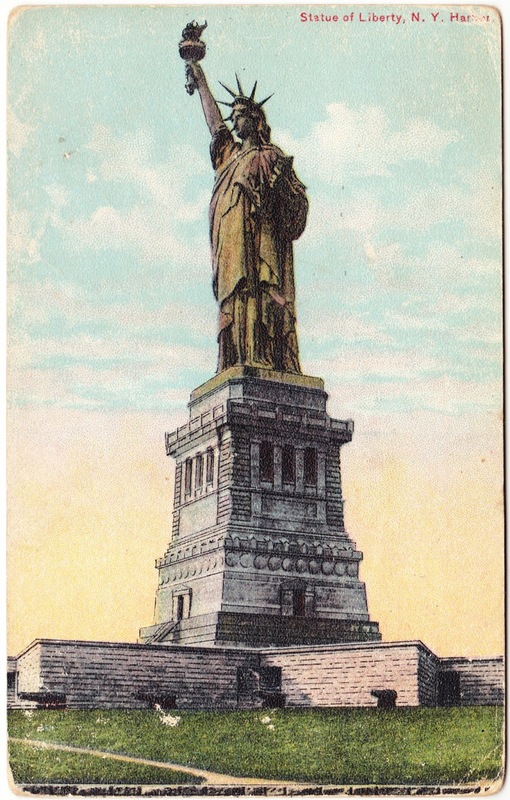 This undated postcard shows the Statue of Liberty in New York Harbor. It's looking a bit more on the original coppery side, as I mentioned in the previous post. No publisher is listed. It has a divided back, and the stamp box indicates that postage was one cent for the United States, Canada, Great Britain and Germany and two cents for other foreign countries. There is no evidence the card was ever stamped. "VERMONTVILLE — Day Pugh, 47, of Vermontville, who had been employed at Lear Corp. in Grand Rapids for several years, suffered a heart attack at 7:30 a.m. Monday while at work and died while being taken to a hospital. 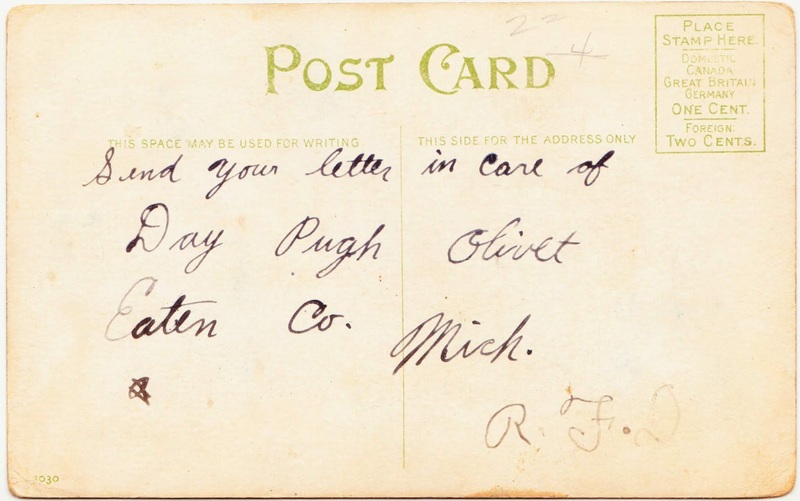 Mr. Pugh was born Jan 15, 1911, in Vermontville, the son of Pitt and Clara (Manley) Pugh. He was a member of Lodge No. 232, F&AM, and the DeWitt Clinton Consistory. Surviving are the parents, living in Vermontville; two brothers, Dr. Millard Pugh of Athens and Frank Pugh of Bellevue."